RELLIS is a premier, high-tech research, technology development and education campus. The Texas A&M University System is creating a new paradigm for the future of applied research, technology development and education. Texas A&M International University is proud to be part of this historic partnership. The Bachelor of Arts with a Major in Communication is a comprehensive and innovative undergraduate degree in Communication with a Concentration in Digital and Strategic Communication. The 120-hour program include courses covering all aspects of the communication field (mass and digital media, organizational communication, public relations, advertising, graphic design, interpersonal and intercultural communication, research methods). Our core faculty have diverse research and real-world communication expertise on current and developing communication platforms. This program offers embedded foreign language and optional internship and study abroad opportunities that can further enhance and nurture a global perspective of the developing digital landscape. Texas has a great need for communication specialists able to engage with the most modern and innovative communication and media platforms. There is a great demand for communication practitioners able to create broad campaigns driven by a research-focused assessment of best communication technologies, best practices and strategies to reach designated audiences. Advertising and Public Relations, Business Marketing, Communication Analysis, Communications Management/Direction, Corporation Communications, Non-Profit Communications, Public Relations Counseling and Education, Social Media Management. 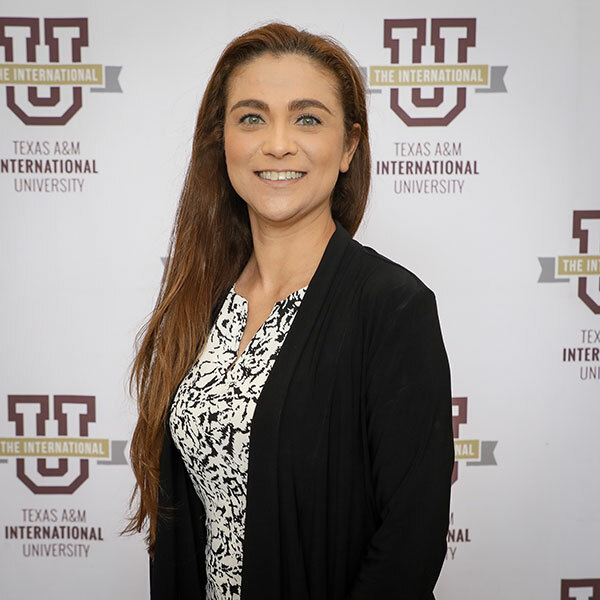 Dr. Claudia San Miguel, Dean, College of Arts and Sciences.